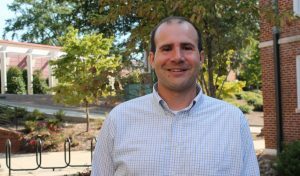 SOE Student of the Month James Strickland is a doctoral student working toward a Ph.D. in counselor education with a certification in play therapy. When the Brandon, Mississippi, native is not busy writing his dissertation, he’s working with clients at the UM Clinic for Outreach and Personal Enrichment. Strickland recently took some time to sit down with us to discuss his current and past experiences at UM. I earned my bachelor’s degree in psychology at Mississippi College and then earned my master’s degree in counseling from University of Southern Mississippi in 2008. After that, I worked for four years and eventually decided that I wanted to do something different. 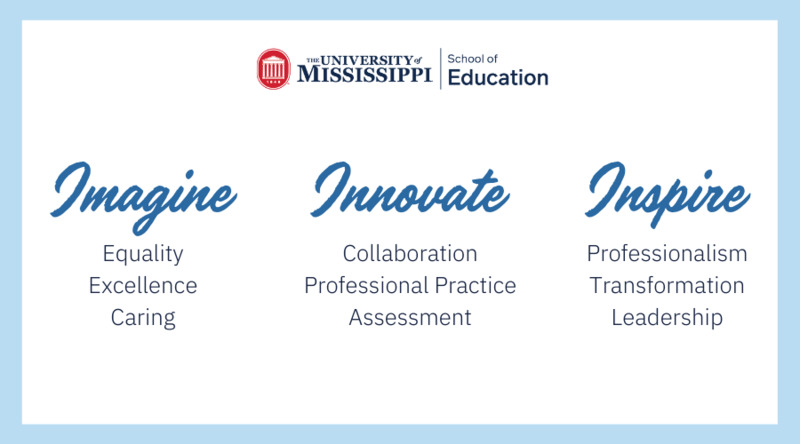 I worked in clinical mental health counseling, including inpatient and outpatient, with adolescents and it sparked my interest to pursue a Ph.D. Ole Miss was a local school that offered the program—I didn’t want to go too far from home—so it was a good fit. They also offered the play therapy training, which I was really interested in and am working on now in addition to the Ph.D.
What’s something that you really like about your program? Is there anything in particular that you really enjoy? For me, it’s been the hands-on aspect and getting to work with faculty one-on-one. We’re a smaller Ph.D. program, so we get constant contact with our faculty and also with our colleagues. As colleagues, we’re really close and it’s great to have those relationships outside of the classroom. It’s kind of a community within Oxford, which is really nice. We also get to travel a lot for various conferences and the School of Education is really supportive of that with funding. I think the part I enjoy most about this program is the relationships with faculty, my students, my colleagues and the opportunity to see different parts of the country through traveling, while making professional contacts. When did you realize you wanted to pursue counselor education? I started out as a pre-pharmacy major. Both my parents were pharmacists and my grandfather was a pharmacist, so that seemed like a good fit at the time. It turned out that I hated chemistry—although I loved biology—so it was a nightmare. I had always worked with children within my church and within the community. At some point, I was introduced to psychology and ended up switching to that. It just felt like a natural fit for me; building relationships and helping people through tough times. So I ended up making the transition to counseling from pharmacy. I’ve enjoyed it for the past eight years now, so I would say it’s been a good fit. A huge part of my identity is the clinical component, so I would love to be a faculty member who still has contact in the clinical realm. I think being able to practice as I’m teaching helps me to be a better educator for my students. If I was able to teach two or three classes and still have contact in the clinical realm, that would be ideal. I hope to finish in May and then transition to a faculty role to see how well I like it; see if it’s something I really do want to pursue. I think it would be ideal to start out small at a teaching university, and then transition as I get more comfortable and continue to develop my skills as an educator and researcher. When I was getting my master’s, I was introduced to marathon running and half-marathon running. I’m not running as far anymore, but I still enjoy running around Oxford and exercising. I like to travel when I have a chance, as well. I got to visit a friend in Indiana over Labor Day and that was nice because I’ve never been in that part of the country. I also just like relaxing, watching football and hanging out with friends on the Square. I think the play therapy classes have been my favorite, I really enjoy those. It’s more of the clinical component, which I really like. I got to learn more about how children work, how their brains develop and have that hands-on experience at the clinic. Has your experience with COPE shaped your outlook as a counselor? I worked there for a year, and I’m still seeing one client there, but I’m busy working on my dissertation this semester. But I did work at COPE for one year and the University Counseling Center for two years. Previously, I was just a counselor and I didn’t have any leadership roles, but at COPE it was just me and one other doctoral student so basically we were the heads of the clinic. It taught me some leadership skills within a clinical setting. But it was also within a educational setting, because we were working with master’s students. We had to train them and balance the clinical role, but also balance the educational role. It really provided a new perspective on higher education and how that works, as well. It was great experience—very time consuming and exhausting—but I learned a lot and enjoyed it. Do you have any advice for students pursuing a career in counseling? I think for me, the key was trying to find that balance. I’m very goal driven, so when I came into the program it was, “I’ve got to get this done, and do it on this timeline.” It was initially a three-year program, but I ended up taking four. I was kind of upset about it at first, but I think balance is important and I think life is too short to not have fun. So make sure you’re still finding time for family, friends and relaxing, and the goals will come. Enjoy the process and enjoy the ride. But also, build those relationships with colleagues and faculty because they’re important, as well. They were with me through some tough times, but also with me when I could celebrate, so it was good to have that mixture of both. Find a balance and build relationships.